Prime Minister Imran Khan on Sunday approved names of the Punjab cabinet ministers and their portfolios. The cabinet includes 23 members. 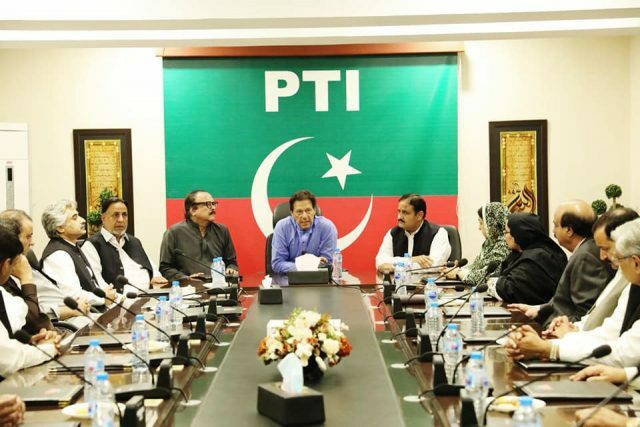 According to our correspondent, the PM interviewed lawmakers for the selection cabinet and held consultation with Punjab Chief Minister Sardar Usman Buzdar, PTI leaders Aleem Khan, Dr Yasmin Rashid and others. Maskhdoom Hashim Bakht will be the new finance minister. Hafiz Mumtaz Ahmed has been given the portfolio of excise, taxation and narcotics control. Sami Ullah Chaudhry is new minister for food. Faiz ul Hassan Chouhan is the minister for information and culture. Yasir Humayun Sarfaraz has the portfolio of higher education and tourism. Mian Mehmood ur Rasheed has the portfolio of housing, urban development and public health engineering. Mian Aslam Iqbal will be the minister for industries, commerce and investment. Aleem Khan will take the charge as senior minister and the minister for local government and community development. Raja Rashid Hafeez is new revenue minister. Yasmin Rashid got the portfolio of primary and secondary healthcare. Taimor Khan, who was elected as an independent candidate, will be the minister for youth affairs and sports. Mohsin Laghari is irrigation minister. Murad Ross is minister for education. Anser Majeed Niazi is the minister for labour and manpower. The other cabinet members, Muhammad Sibtain Khan, Sardar Asif Nakai, Hafiz Ammar Yassir, Malik Nauman, Hasnain Dareshak, Malik Anwar, Chaudhry Zaheer and Hashim Dogar have yet to be assigned their portfolios.